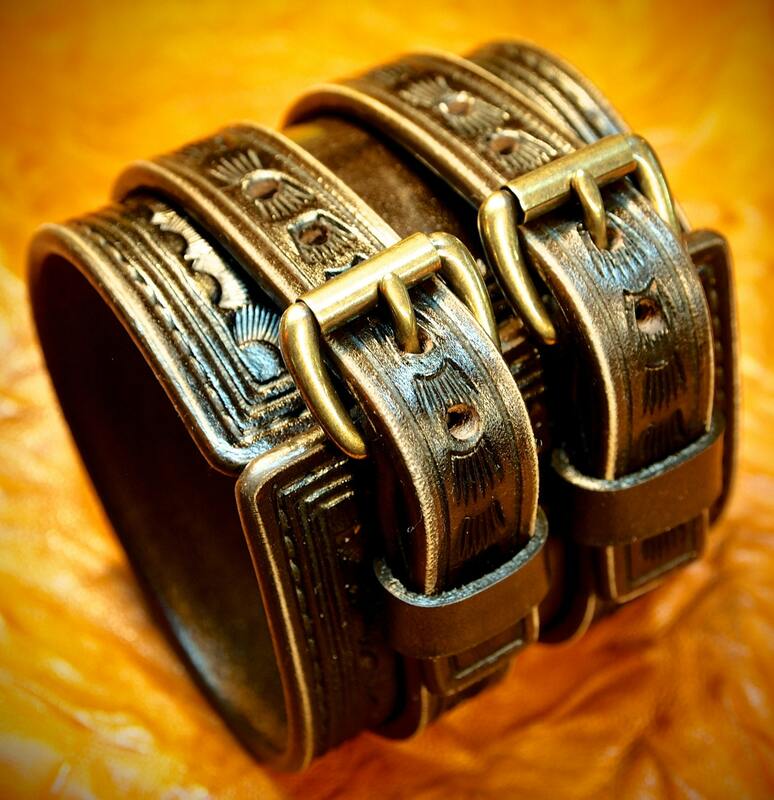 Brown Leather Wrist Cuff : COWBOY ROCKSTAR Traditional American Bracelet. Made in New York! This Brown leather cuff uses natural vegetable-tanned leather and is Hand tooled and stamped with an original border design. 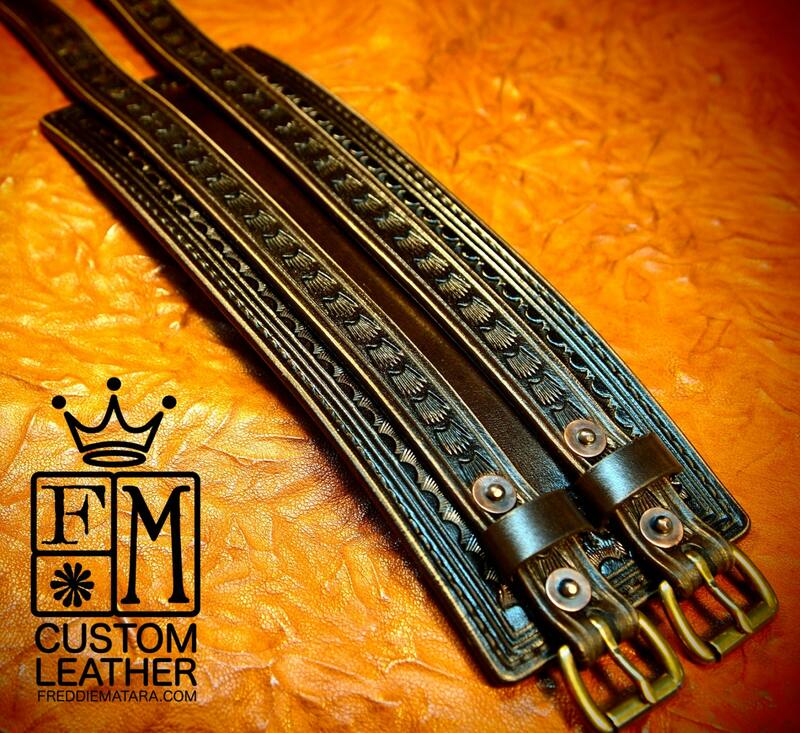 It is 2-3/4" wide and runs 2 straps over the main cuff. I use Western leather techniques and no electric tools to create this Cowboy Rockstar style! It is finished in dark brown saddle dye, distressed and hand rubbed with custom paste and wax creating a unique vintage look. Aged brass roller buckles and vintage copper rivets provide the closure! 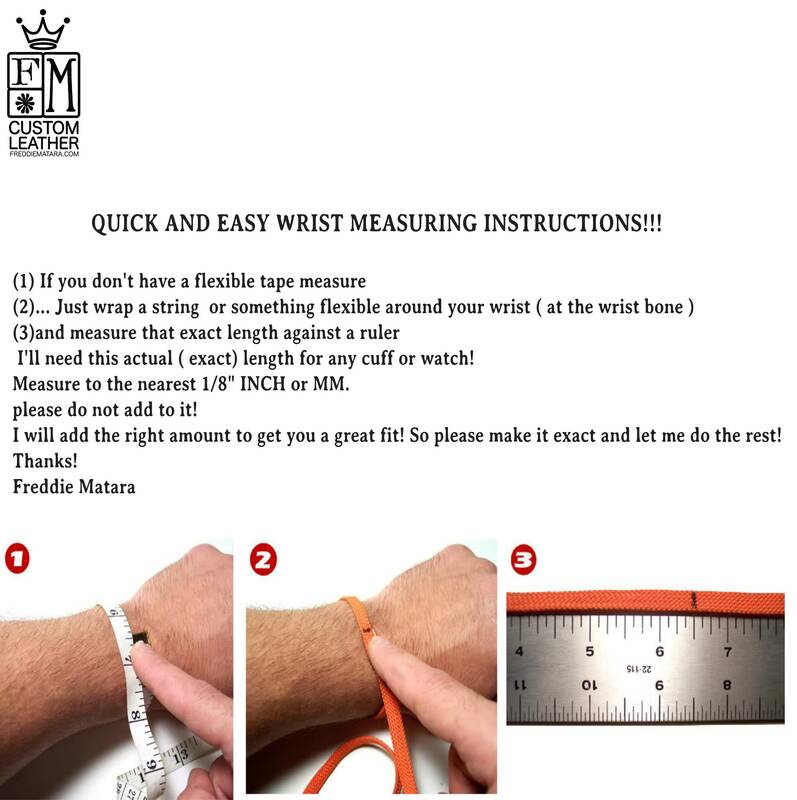 This looks awesome, feels great on wrist. I would buy this item. 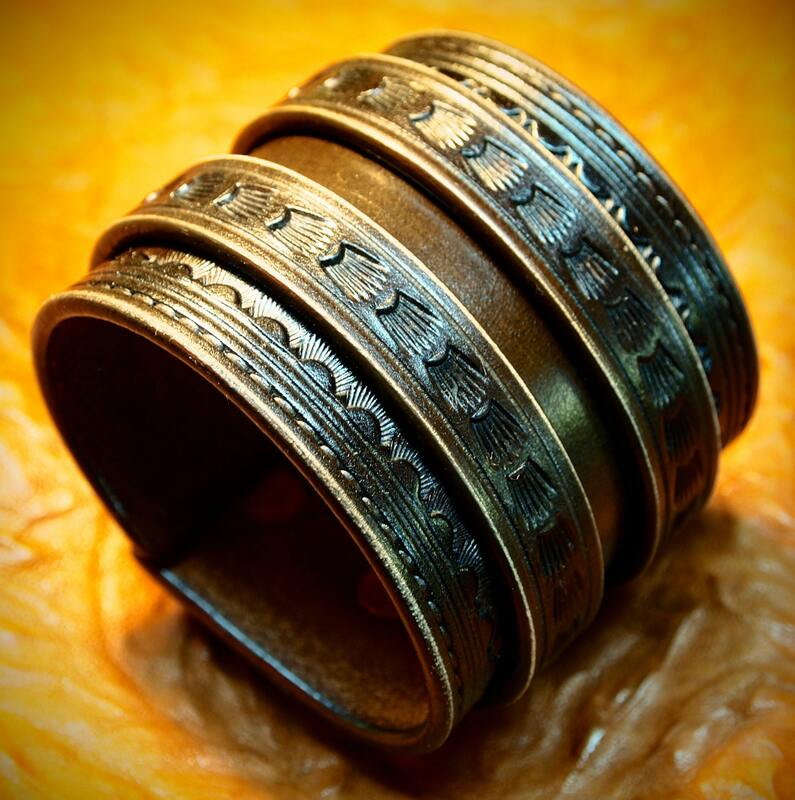 I have a few of these wrist cuffs.